I wore this outfit yesterday (I was way too stressed to consider writing a blog post, sorry!) and it's safe to say that I've definitely started to get out the A/W wardrobe already! This actually makes me a bit sad, yet also quite happy because I love A/W fashion. 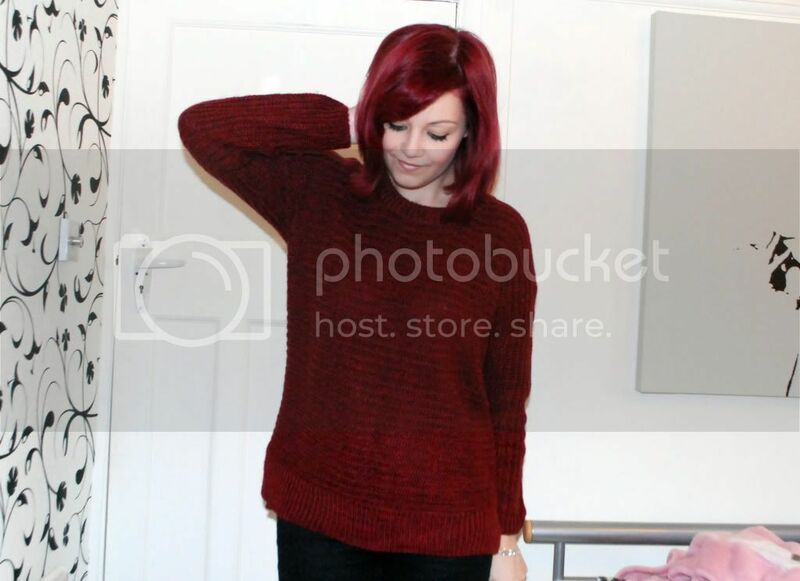 Anyway, this jumper is new from Primark and the colour is perfect for the upcoming season. 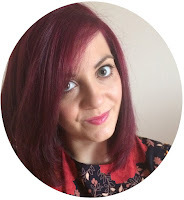 Berry/maroon/whatever you want to call it is a firm favourite at the moment, even though it currently matches my hair colour. It's incredibly comfortable and warm, yet will be great to layer on top of things when it gets colder. I might have to stock up on this style in different colours! 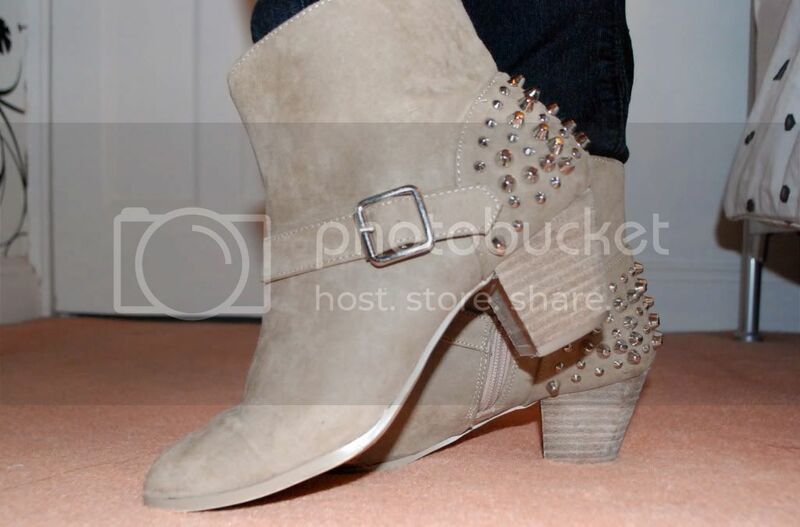 As for the boots, I haven't shown you these properly on my blog before (apart from on the haul vlog). 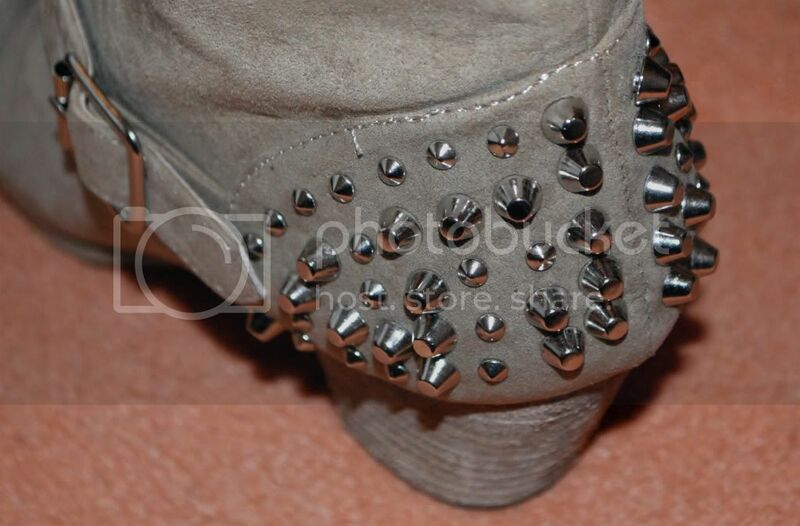 These are definitely my favourite boots at the moment - I love the studs at the back! They also give me a great excuse to wear heels, without towering over everyone and still being practical footwear to wear each day. those booties are so cute! and that sweater looks so cosy :)gorgeous!